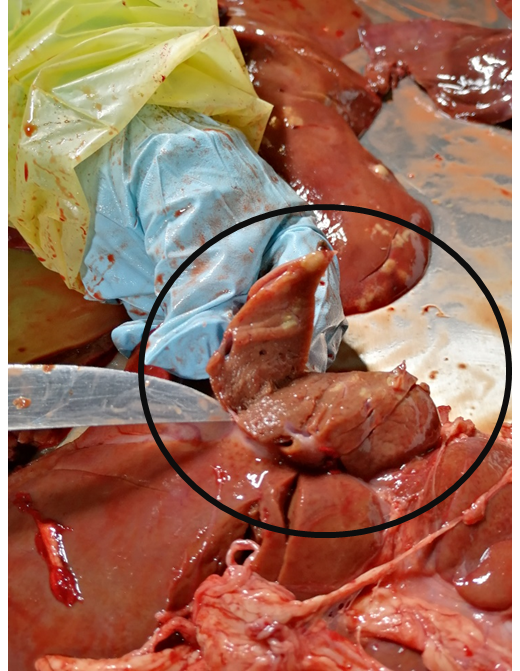 Image 5, Slice open the liver in a cross section to inspect the bile ducts. 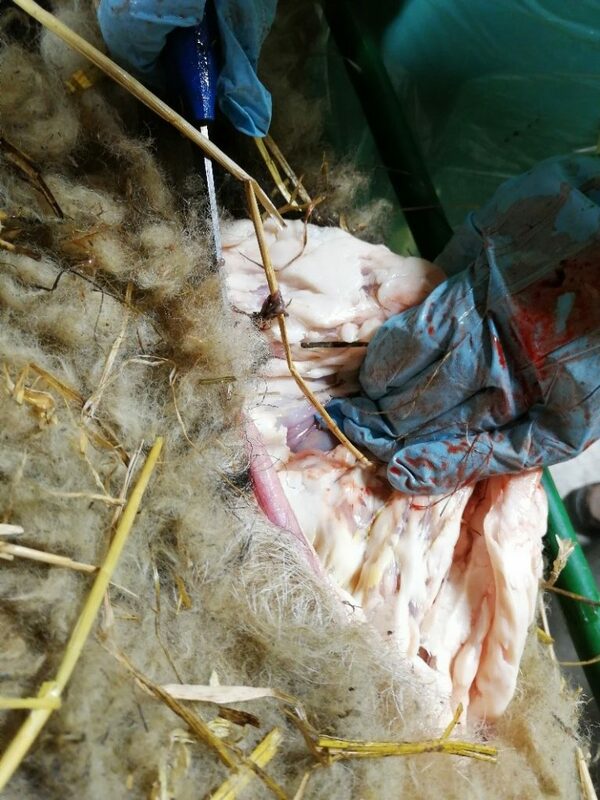 Image 6, There was a lot of fat around the abdomen of this in lamb mule hogg which has wintered off the farm in Lancashire. 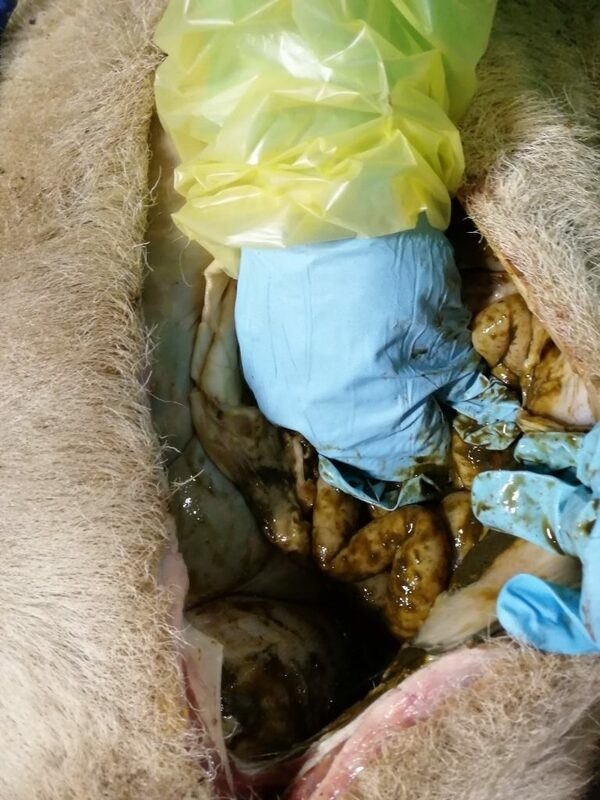 Image 7, Again there was no liver fluke or signs of previous infestations. 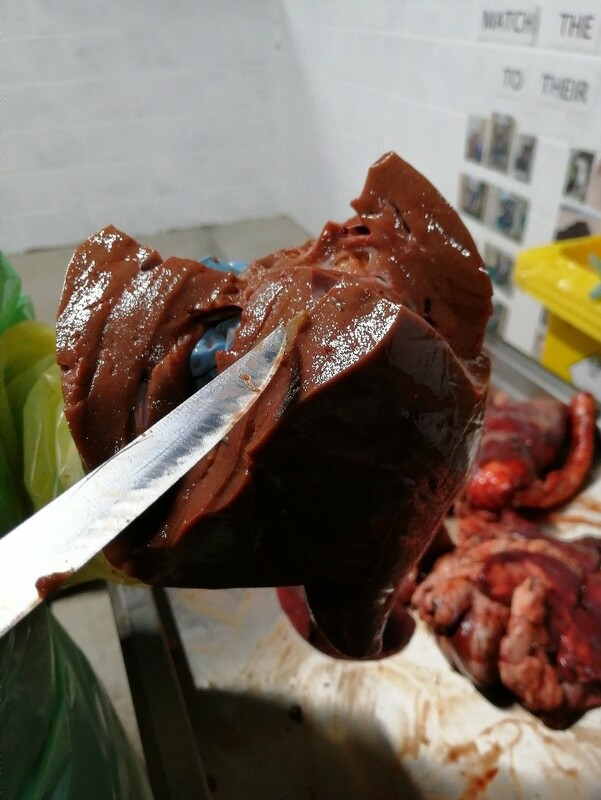 A healthy liver. 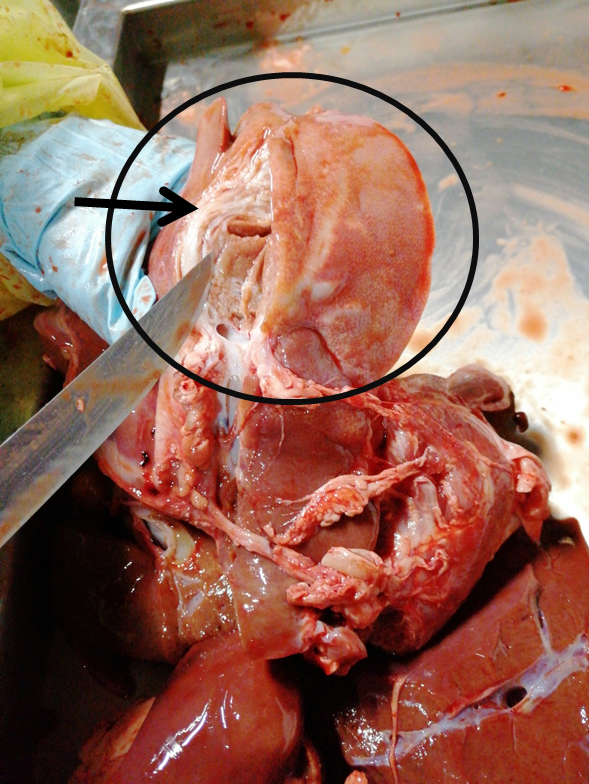 Image 8, Where the liver sits in the abdomen. 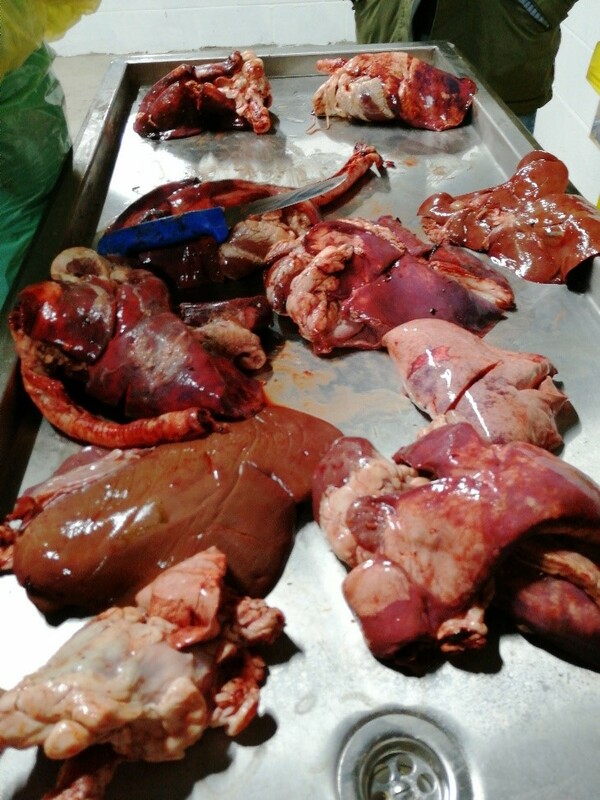 Image 9, Condemned livers/lungs (pluck) from local abattoir. 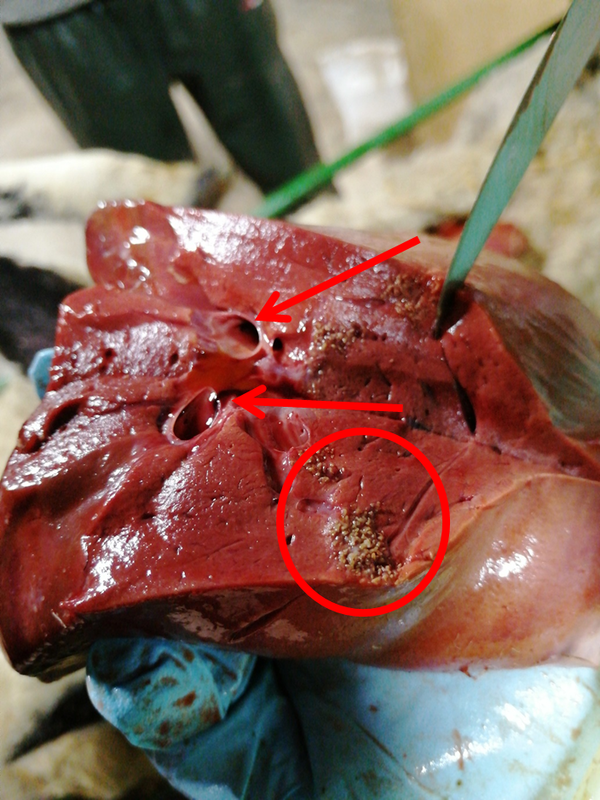 Image 10, Signs of fluke in this liver, the colour is brown /pinky, a liver fluke is present coming from the bile duct (black arrow). 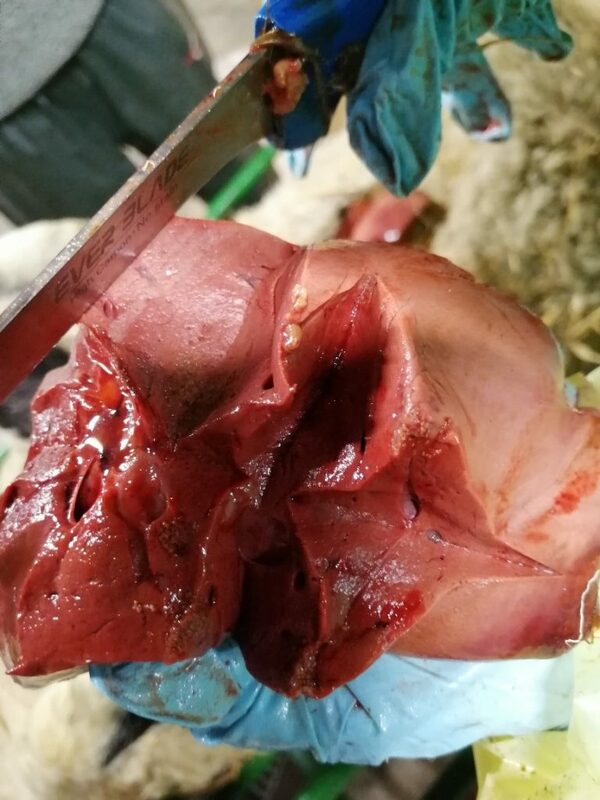 It looks spongey and soft. 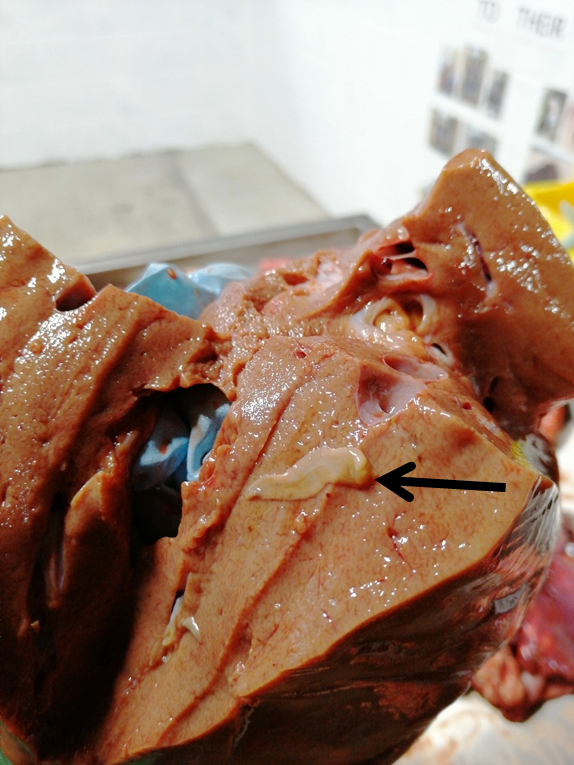 Image 11, An infested liver the colour is very pale and spongey with the liver fluke in the centre of the picture (black arrow). 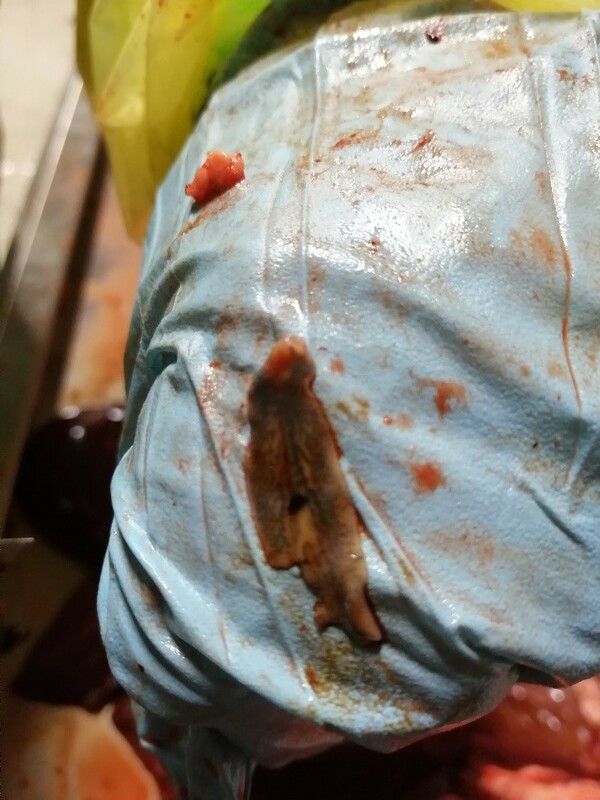 Image 12, Large adult liver fluke found in the bile duct (approximately 3-4 cm long) you can see the dark veins with in the fluke. 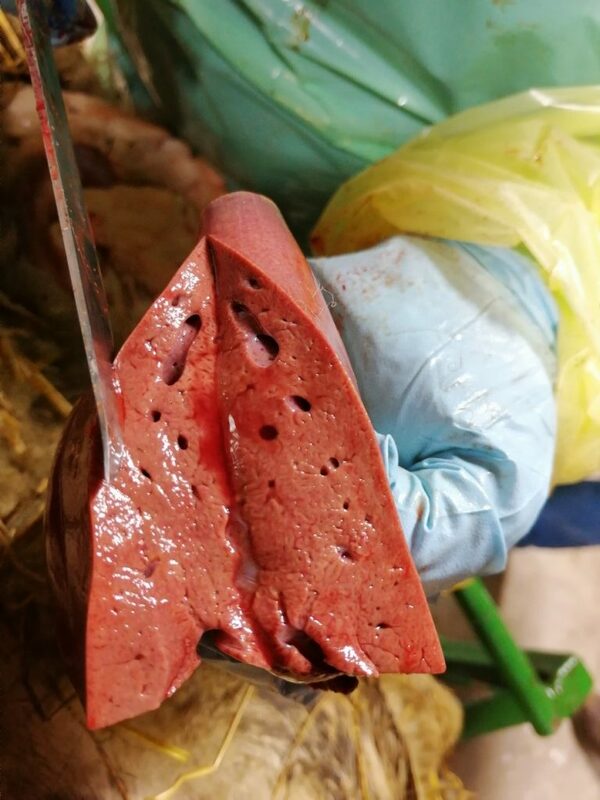 Image 13, Here you can see the damage to the liver caused by fluke and how it has scarred. 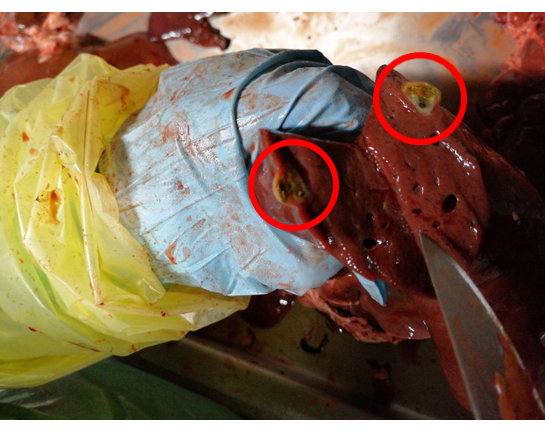 It was hard and very pale in colour (black arrow), the rest of the liver was healthy (at the bottom of the photo). 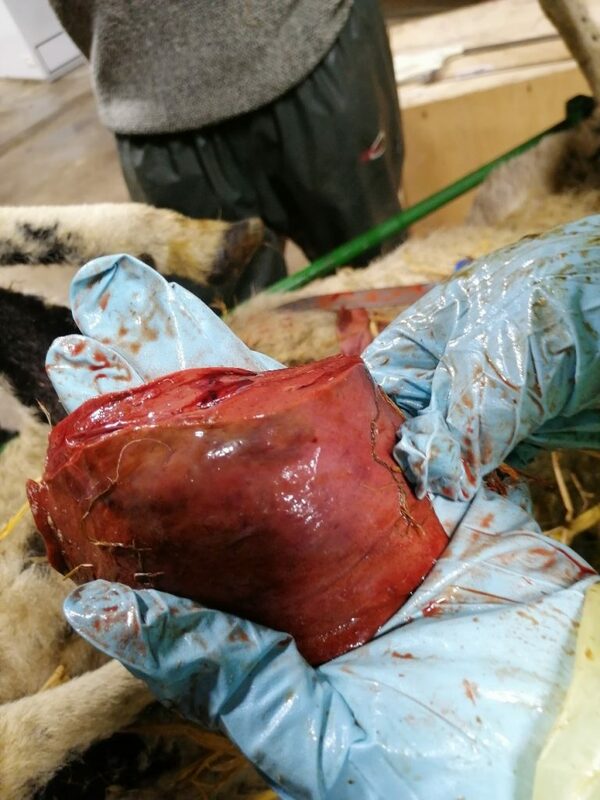 Image 14, Here you can see the pale soft liver where there has been liver fluke. 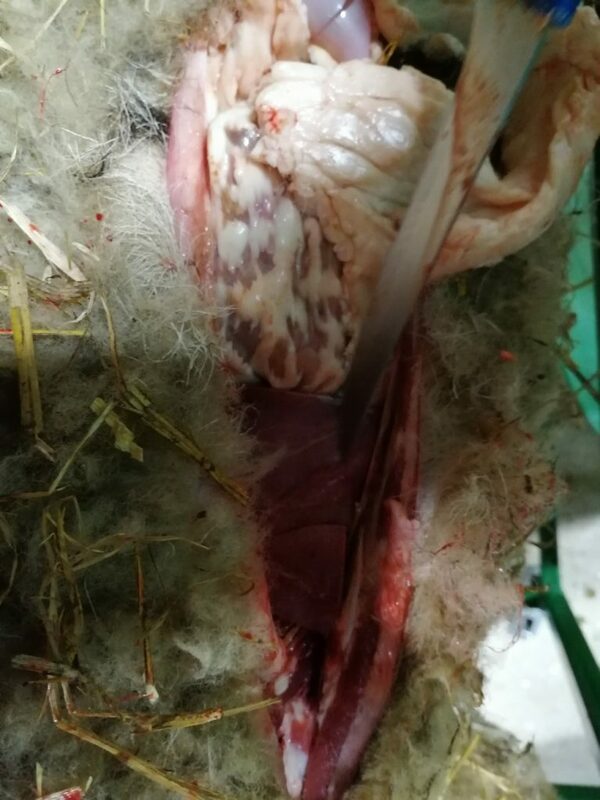 It broke up very easily, this is a sign of previous infestation. 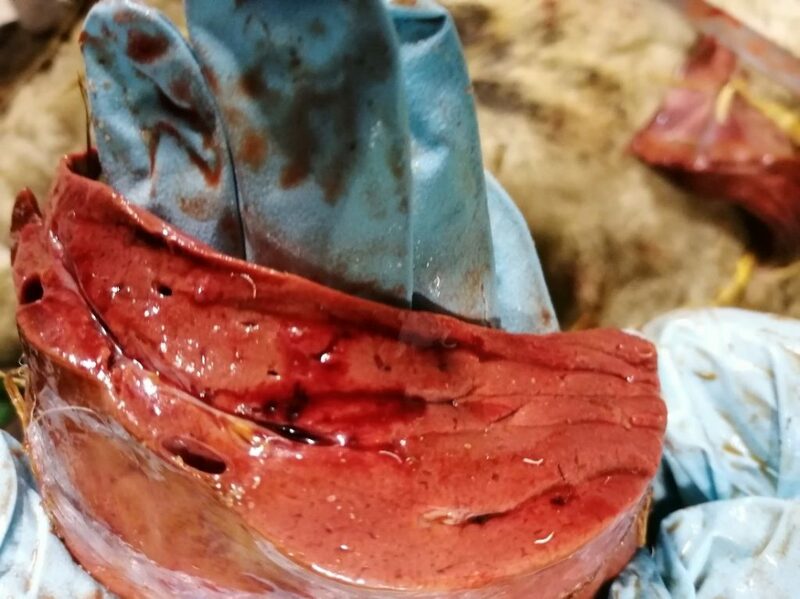 Image 15, This is polyps left by dog tape worm (red circles, approximately 1 cm diameter) and the effects it has on the liver above and below. 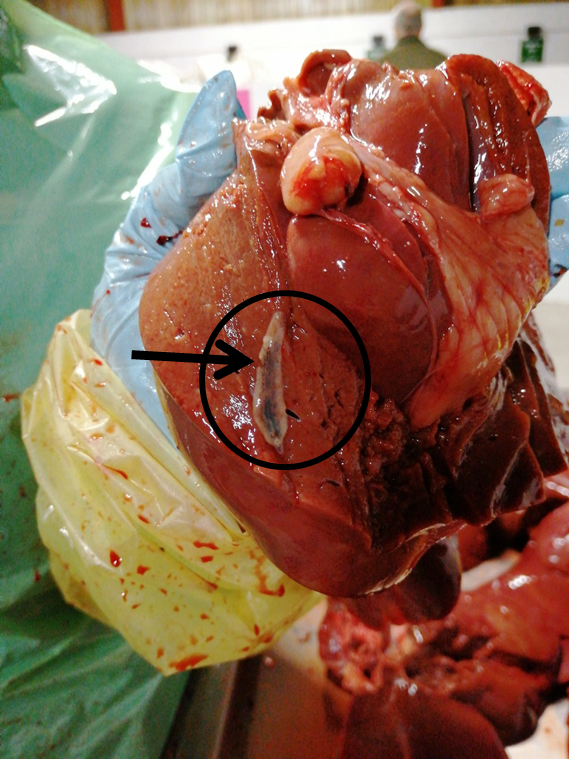 Image 16, Large liver fluke in the centre of the picture (black arrow), approximately 3cm long.